Theresa's Mixed Nuts: KiiPix Smartphone Picture Printer - Snap It Up For The Holidays! 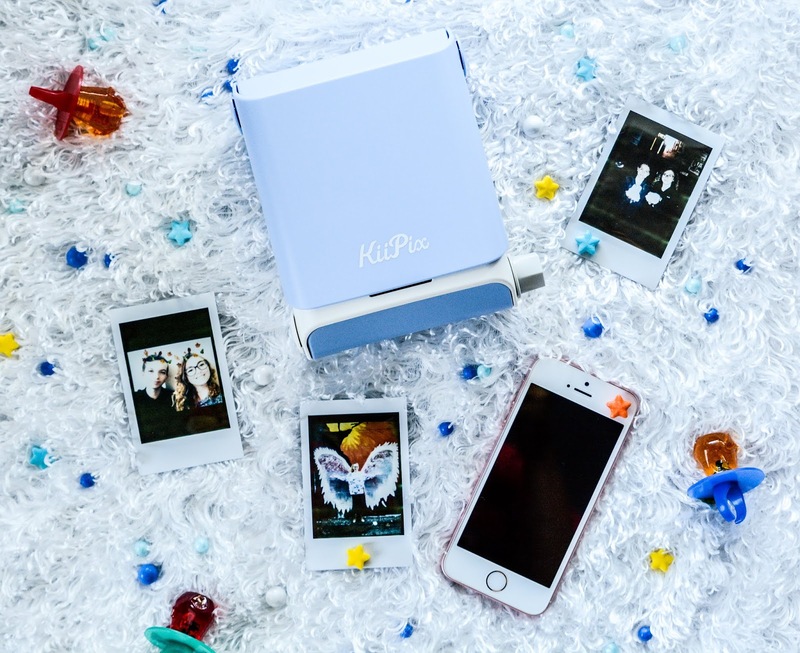 KiiPix Smartphone Picture Printer - Snap It Up For The Holidays! We're living in an age where pictures are everything. We love snapping selfies or pictures of our travels and weekend shenanigans because we have to Instagram it or it didn't happen, right? We do a quick click then send our photos off into the digital world, which is cool and all, but it's also easy to forget about those pictures when they get buried into the depths of your phone or Instafeed. 80's Retro is making a comeback in a huge way. Just recently my 14 year old daughter told me that she needed a pair of "mom jeans", kids are back into perming their hair, and printing off Polaroid style photos is all the rage these days. We bought the girls instant picture printing cameras last year for Christmas, which they enjoy using, but the drawback with them is the same problem we had back in the day. Once you snap your pic, you're stuck with that image. There are no retakes or editing allowed. Got a goofy smile or had your eyes closed? Tough luck. You just wasted one of your photos. 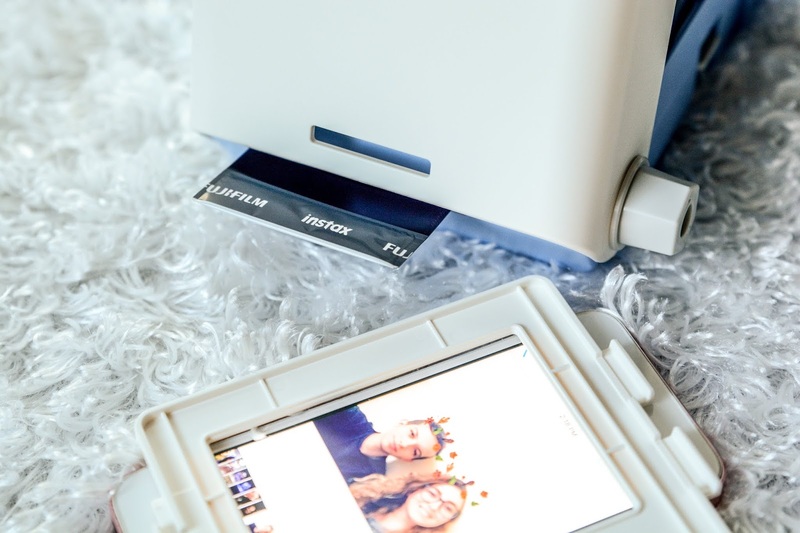 What if I told you that you are no longer stuck with crummy instant film photos, but can get the same retro pictures printed straight from your phone or Instagram feed? 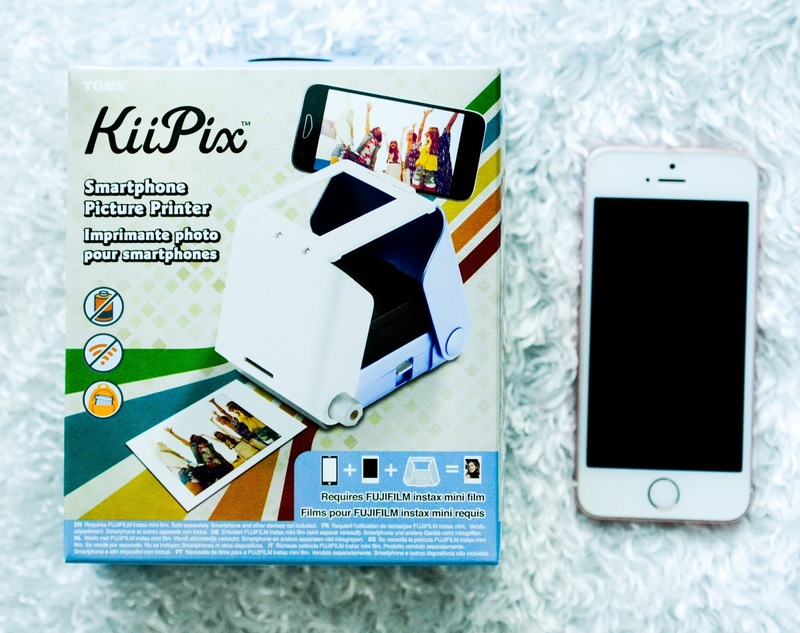 You absolutely can with the KiiPix Smartphone Picture Printer! 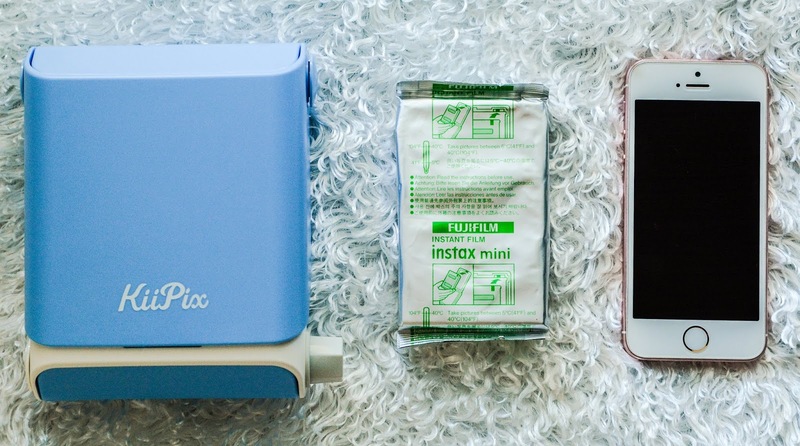 The KiiPix Smartphone Picture Printer is a easy and portable way to get instant photos straight from your smartphone. 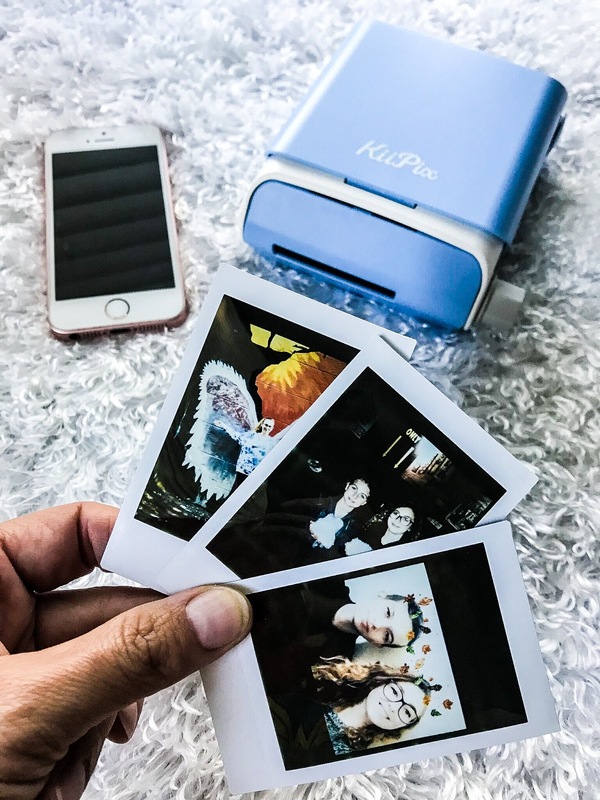 It requires No Batteries or Cords, just the KiiPix, FUJIFILM Instax mini film (affiliate link, sold separately), and your smartphone. Simply unfold it, pop your smartphone on top, press the little lever on the side, turn the crank, and boom. Instant photo! When my daughter first heard of KiiPix, she got all giddy and couldn't wait to try it. The main draw for the KiiPix for her was that she gets to choose what photos get printed. 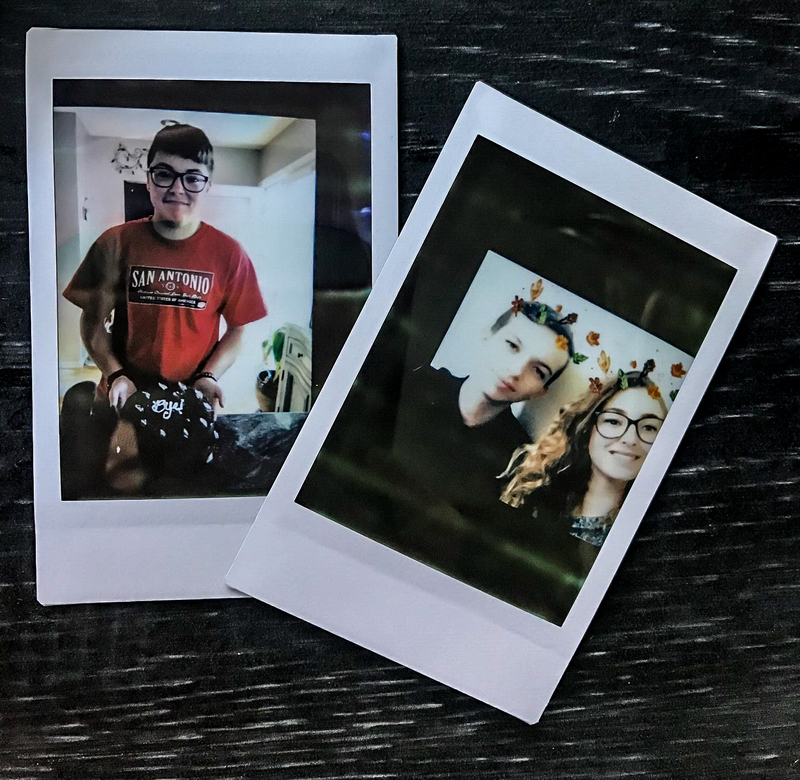 Teens are all about Snapchat filters these days, which you can't get on a traditional instant camera, so talk about excitement when she realized she could get her filtered photos printed instant camera style. How fun is that!? I'm going to be honest and say that there is a slight learning curve to using this unit. The instructions aren't very descriptive in the user guide, so our first two photos were are bit off center. However, we are visual learners, so we found THIS VIDEO on YouTube to be very helpful in getting everything working properly. Additional tips: make sure the brightness is at 100% on your phone. Also, pictures in portrait mode look better than those in landscape once printed. Other than that, the KiiPix was super easy to use and my daughter had a blast getting instant prints off of her smartphone. 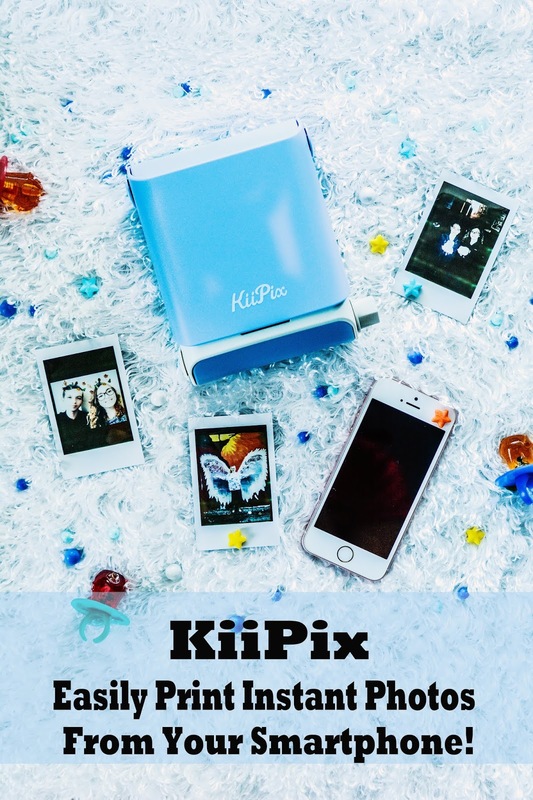 I think the KiiPix will be a hot commodity for tweens and teens this holiday season. Allison loved it so much, she said she's including it in her annual holiday gift guide this year, so if you have someone to buy for in that age set, I'd hurry up and snap one up now before the masses catch on. KiiPix comes in 3 different colors, pink, blue, and black and can be purchased on the KiiPix website or at large retailers such as Amazon, GameStop, Target, and Walmart. Do you usually print your smartphone photos, or are you guilty of leaving them stuck in your cloud? What a great idea. I don't own a smartphone but I usually leave my pictures on my laptop until Shutterfly or another site has freebie pints available. This is so great for the holidays! I love cute small prints like these! Aren't they fun? The kids just love them! Now that is neat indeed. A good gift idea for many. The film for it isn't getting great reviews on amazon though. Had a looksy. I just save all the photos on my computer and then backups. Cloud? Pfffft. I'm guilty of having all of my photos left in a backup drive too. Allison hasn't had any problems with the film (uses it in her instant camera too) other than some of them come out a bit saturated, but she doesn't expect high quality professional prints to come from it either. Maybe they'll improve upon film quality the more it's demanded from them. Fujifilm is just happy people are having a need to print photos again. This is going to be perfect for my eldest daughter for the holidays! I can already see all the selfies decorating her bedroom walls. So fun that you can print from your phone. It will make a great gift for the holidays. My daughter is already covering her walls with the pics! 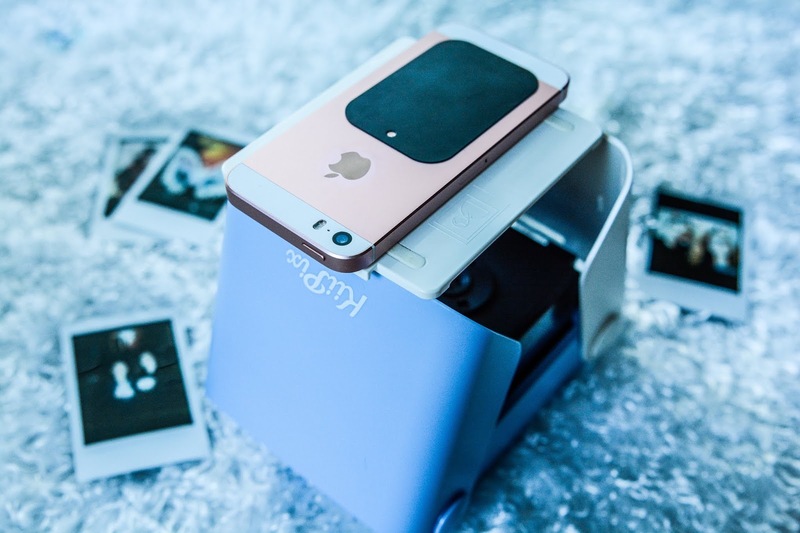 This is super cool; like bringing back the old school polaroid! Funny how things come full circle. I won't be rocking the mom jeans that my daughter is into these days, but I can get behind old school polaroid pics making a comeback. I cannot take photos with my phone any more because the programme I used to download them into my computer does not work any more. I should probably buy me a smartphone, but ain't nobody got the time for that! I think they would be fun to scrapbook with too. Yes, that's her boyfriend, but she won't admit it. Mama knows though, yes I do. It's still new though, so she'll probably wait a bit before admitting it to us. Dahlink, you need to make time for that. Time to join the rest of us in the digital age and get you a smartphone! This is really cool! Would be a fun gift idea for the holidays! I'm guilty of leaving them in the cloud, and having them build up, so much that my cloud is full. I need to get on printing them. These photos look super fun! This is the perfect gift for my teen daughter. It's been so hard trying to figure out what to get her (She's 15) but this is it! I think this would be perfect for a 15 year old. My daughter will be 15 in 2 months and thinks it's the greatest thing since sliced bread. I never print out pictures, and that makes me so sad. It's just so much trouble to do it, but this looks like a fun and easy option. It seems the only time I get around to printing them out these days is when I buy a new frame. I really should get better at printing them off once a month or so. Right! I've been using it for myself as well! I want to get this for myself. We need to all go back to the art of printing our photos. Oh yeah, I have 2 kids who would love this, and maybe the 2 oldest as well (I'm going to ask them, just being curious). This is a cool idea.